Adam Spiegel Productions(Midnight Tango and Dance 'Til Dawn) is presenting a tour of Mel Brooks' The Producers . The musical comedy features a riotous mix of eccentric characters and show stopping Broadway songs including the the all time classic ‘Springtime For Hitler’. This brand new production has a breathless combination of song, dance and laughter based on Mel Brooks’ Academy Award winning movie, which took Broadway and the West End by storm, winning a record-breaking 12 Tony Awards and 3 Olivier Awards. Birmingham, Bristol, Sunderland, Woking, Southampton, Liverpool,Glasgow and Aberdeen where it is currently scheduled to end. 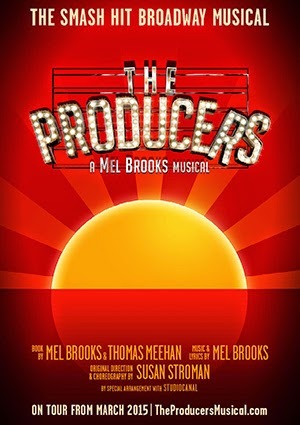 Full dates and booking details for The Producers Tour here.